If you are looking for a franchise, Crazy Crepes has one of the lowest entry costs in the industry, along with low food cost and low rent, due to it's small space requirements. Franchising requires that you open a Crazy Crepes branded location, and there are fees involved. Our merchandising is first rate, and is one of the cornerstones of our consumer appeal. Franchise fees and other costs are discussed in the Uniform Federal Offering Circular and the Franchise Agreement. Copies of these can be obtained by emailing Crazy Crepes LLC at bkitay@crazycrepes.com. 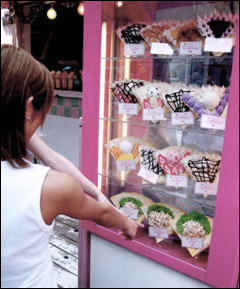 Franchising opportunities for free standing kiosk locations are available. Also, master franchise and development territories within the US are still waiting for you. Just call or email us at gpetro@crazycrepes.com. 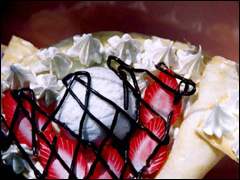 Check out Crazy Crepes in Las Vegas at the Fashion Show Mall on the strip!